I have been in the dental field for 20+ years, the last 10 as a hygienist. I really enjoy becoming friends with my patients and educating them on their oral health. My passion for this field has allowed me to always be on demand. My other passion is with my kids and family. I spend much time with my 13 year old son on the baseball diamond, as he plays baseball year round. My 5 year old daughter is my ring leader and my life- Mia loves hanging on Daddy and eating ice cream when she isn't supposed to. My girlfriend, also a hygienist allows me to be a mentor. I look forward to being part of CVDC for many years. Working in the dental field for 6 years. Specialize in CEREC software (same day dentistry). Fall in love with my job every year as the technology advances and the more people I make smile. Our front office will review details your recommended treatment plan and assist you with your insurance forms and financial arrangements. I was born and raised in Oakland, CA where I met and married my high school sweetheart. We have two boys in college and have lived in Castro Valley for the past 20 years. 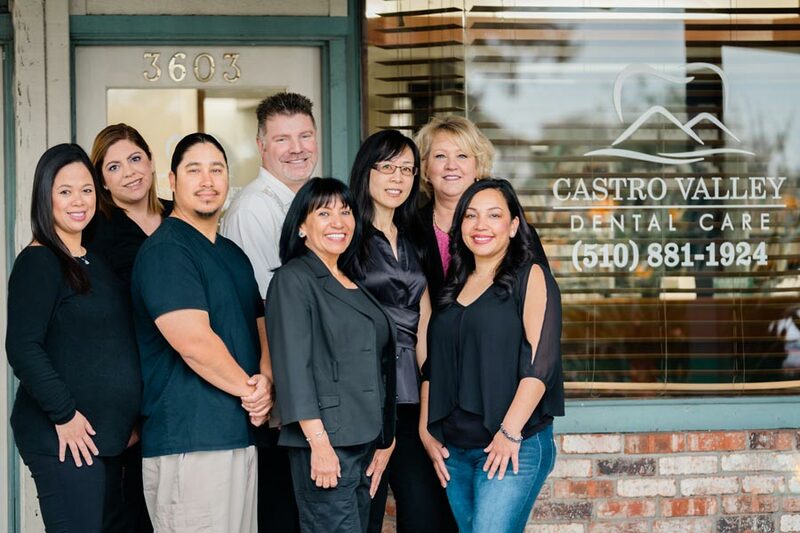 I love interacting with our patients and our staff here is the BEST! We are truly one big happy family!!! Some activities I enjoy are baking, decorating, traveling, walking Lake Chabot and having great times with family and friends.